Product prices and availability are accurate as of 2019-04-20 15:29:18 UTC and are subject to change. Any price and availability information displayed on http://www.amazon.com/ at the time of purchase will apply to the purchase of this product. 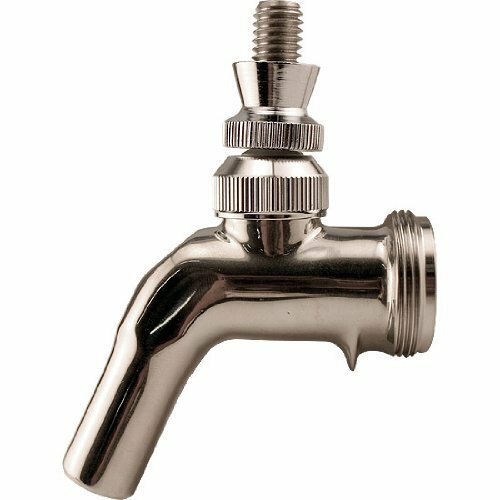 Unique in both appearance and function, the Perlick stainless steel beer faucet is the most sanitary faucet available anywhere. Its innovative seat-forward design keeps internal parts from being exposed to air, preventing the handle lever from sticking and minimizing bacterial build-up. In addition, the removable spout makes cleaning much easier. This revolutionary design and stainless steel body ensures a brewery fresh taste.